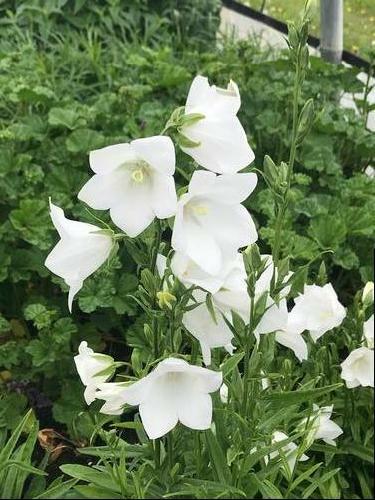 Forms compact mounds with narrow foliage, numerous spikes of bell-shaped white flowers bloom spring thru summer, flowers are more upward and outward facing. A large genus of plants with a wide range of growth habits. Most are very floriferous and have bell-shaped flowers, blooming late spring into summer. Plants prefer sunny locations with well-drained soils.